The central theme of this volume is the notion of "irrational reproduction": the ways in which women’s and couples’ reproductive choices and practices are deemed "irrational" or "irresponsible" because they result in the "wrong number" of children. In a global context of declining fertility, population policies have shifted to a neoliberal register, which, despite local differences, includes both the deepening of economic and social inequalities and the intensification of rights discourses applied to the unborn. 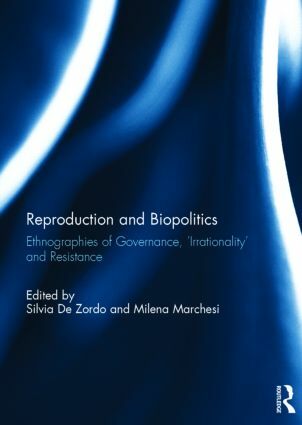 Inspired by Foucault’s theories on biopolitics and biopower and by a long tradition of feminist anthropological studies on reproduction, the ethnographically based papers collected in this volume address the following crucial questions: How does the notion of "irrational" reproduction emerge and play out in diverse socio-political contexts and what forms of subjectivities and resistance does it generate? How does the "threat" of too few or too many children, itself constructed through expert knowledge of statistics and political concerns over the size of different ethnic populations or classes, justify and support different biopolitical projects? And how do the increasing privatization of healthcare and the dismantling of welfare states affect reproductive practices and decisions on the ground in the global North and South? This book was originally published as a special issue of Anthropology and Medicine. Milena Marchesi is a Visiting Lecturer at the University of Massachusetts, USA. She is a social anthropologist whose work focuses on reproduction, migration, gender and the family, and neoliberalism in Italy.